I am listening tonight and plan to get the book tomorrow. I would like to go through the exercises written in the book. My parents did not show us how to resolve any conflict. They avoided it as much as possible. I am afraid that I did not teach my children either. My oldest daughter just got married three weeks ago. I would like for her to listen to the book. My other daughter is ending her engagement. 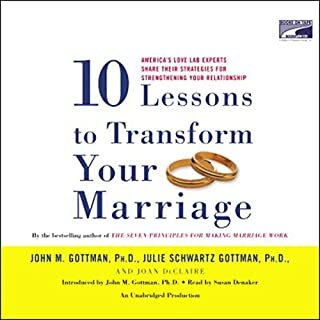 This book would be very helpful for both of them. I am finding it very interesting!